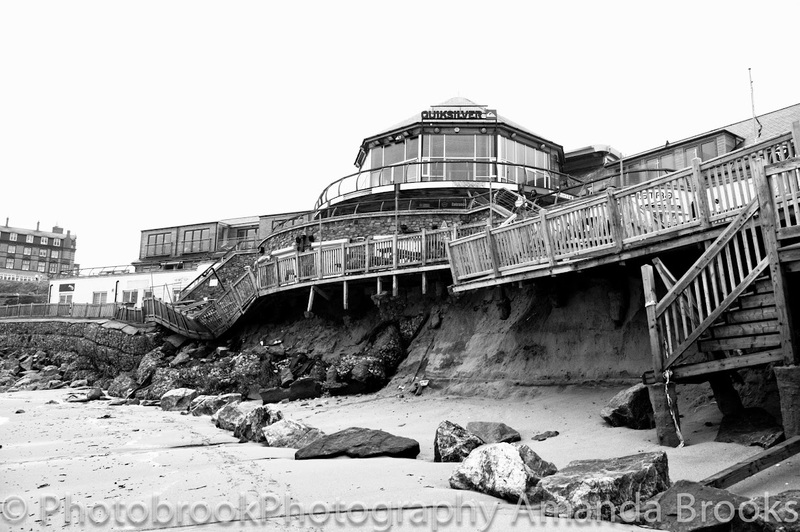 Photobrook Photography: Where's good to go cycling in Cornwall?? Since Christmas last year I was lucky enough to get a new bike and since then have got into my cycling around the Cornish countryside. I'm not a brilliant cyclist and don't have any lycra and often get over taken by keen passionate riders beasting out on the Cornish roads. 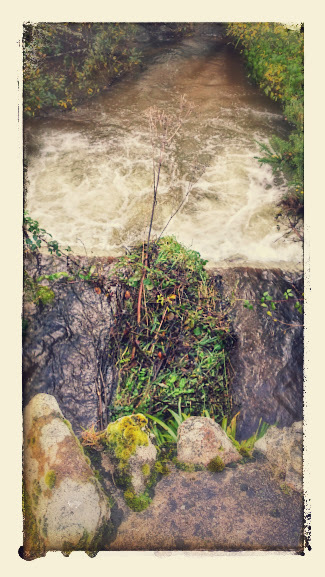 But it makes me happy, I stop several times to enjoy the scenery and the sounds and see Cornwall from a different pace of life and see things differently then when I go whizzing past in my car. I love the beach and the sea and a favourite route is to cycle from my house to the north Cornish coast. 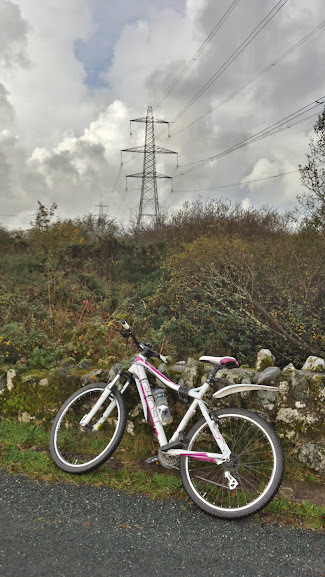 I've cycled to Mawgan Porth, I've cycled to Padstow, and i've cycled to Watergate via Porth and Whipsederry but this week I though I would do some inland cycling instead. Heading from my house I ventured up into Goss Moor which I love as it is quite and off roads but still nice and flat and easy to cycle without the worry of slowing down traffic on the roads. 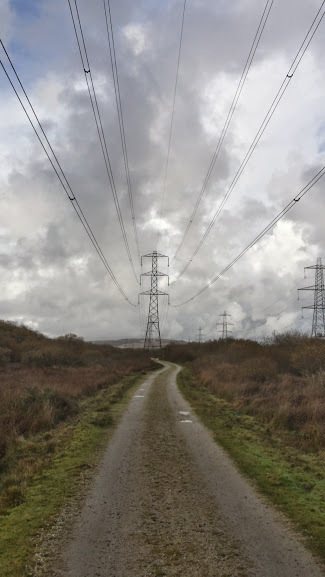 Goss Moor isn't your typical Cornish scene, there's no ragged cliffs or stunning beaches, it's quite and calm there's the distant sound of the A30 rushing by and the pinging of electricity in the overhead cables but it's quiet and peaceful. 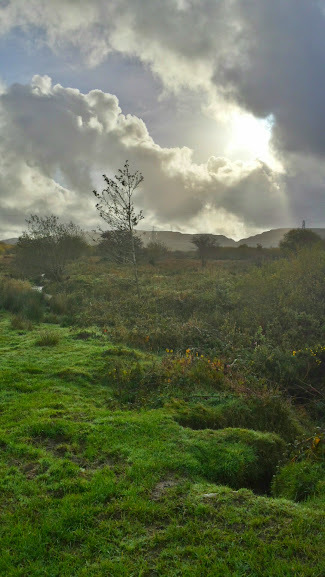 I'll often pass the odd dog walker or runner but there's a great sense of being in the middle of nowhere on your own, the place isn't over run with tourists and pay and display car parks it's just natural and there to be enjoyed. Although it is peaceful and calm and quiet you do bump into the occasional other user on the trails and paths and this weeks cycle was no exception as I was greeted by several of the grazing cows that live on Goss Moor. Now being an ex city girl I haven't got a clue with cows and faced up and close to them I will admit I was a little scared. They are huge and have crazy eyes that just stare back at you and I wasn't sure of their mooooooves. Sorry about the pun!!! I tried shouting at them to move, and flapped my arms and even tried ringing my bell! that doesn't work by the way. All of the cows moved bar this one that just stood across the path blocking me from getting past, not knowing how to get around the cow I thought I could just go back the way I had come and try a different route but as I looked behind me there were another 4 cows closing in on me. Now I'm sure any farmer reading this will think i'm stupid but I was just really weary and didn't know what to do and have to move the cow on. After several loud moo's in my face from this non moving cow the creature obviously saw something tasty on the other side of the path and did a full turn and head down eating. This was my chance so I peddled as fast as i could to get past the heard. As I past the tail swished and the loudest moo was heard I peddled faster to get away and looked back as the cow was simply eating without a care in the world!!! 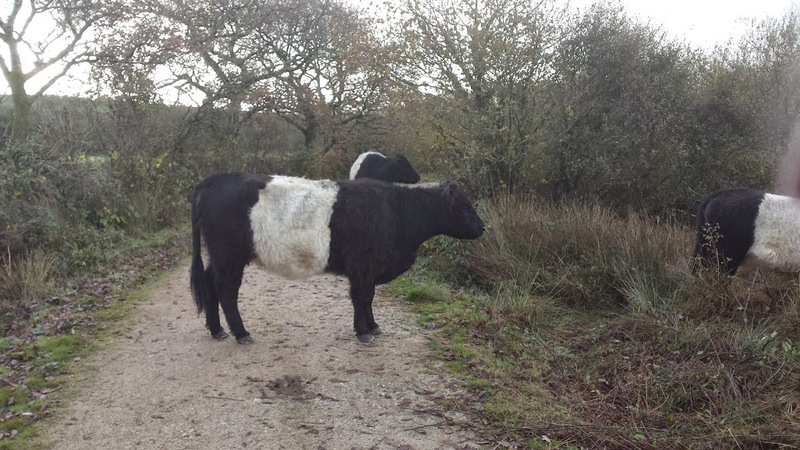 Feeling slightly traumatised that I was so freaked out by a mooing cow I decided to leave Goss Moor and head up to St Dennis this time via roads and not in a nature reserve. 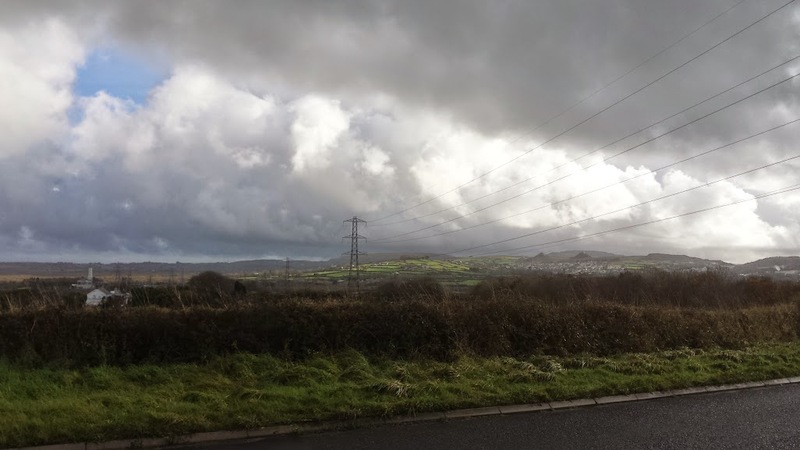 As I headed up hill away from Goss moor the sky was turning darker and darker and the forecasted heavy showers were definitely looming so with a quick stop in St Dennis I turned around and headed back via the roads to home. I clocked up 13 miles on my bike and although this wasn't as many miles as previous weeks I was pleased with my trip out and can't wait for the next mini adventure with just me and my bike and the open road. Although this isn't the exact route this was the rough route that I completed, It's just impossible to highlight cycle paths on Google Maps accurately, It wasn't the furthest i've cycled but i didn't want to venture to far with the weather turning worse. Gladly my decision to the venture to far was the right choice as not long after I returned home the heavens opened and it poured down!